$11.90 (Reg. 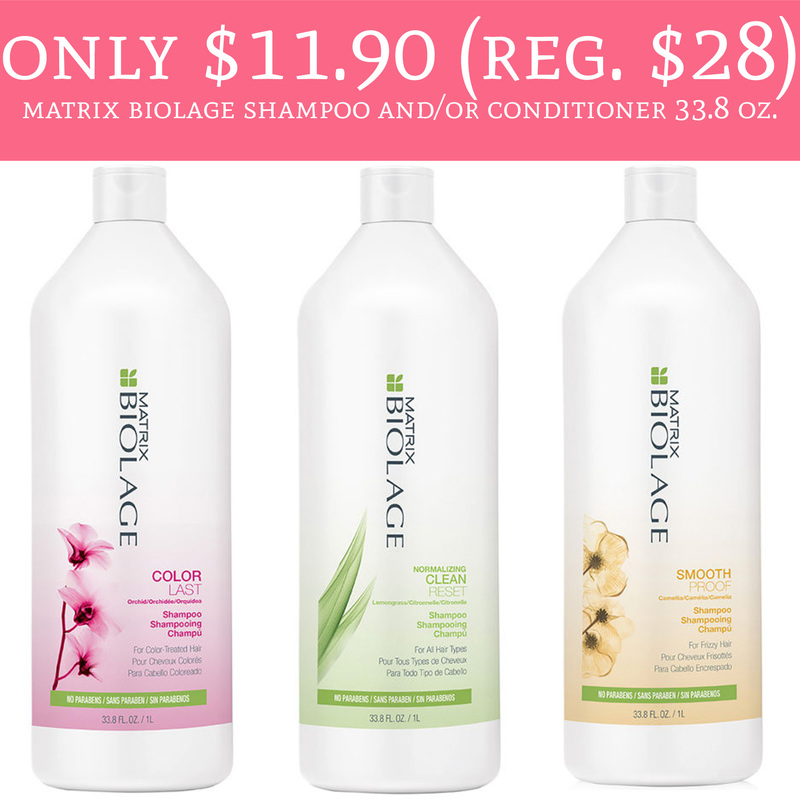 $28) Matrix Biolage Shampoo and/or Conditioner 33.8 oz. Hurry over to JCPenney.com where you can score Matrix Biolage Shampoo and/or Conditioner 33.8 oz. for just $11.90 (Regular $28). They are currently on sale for buy one get one free and use promo code 4TOSAVE to score an additional 25% off. Choose pick up in store where available to avoid shipping fees or spend $99 or more for free shipping. This is the best time to stock up on hair care! Order yours here!